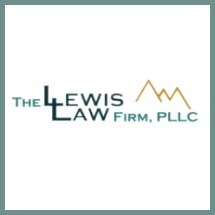 Located in Issaquah, Washington, The Lewis Law Firm, PLLC, provides exceptional advocacy and support to those who suffered an injury or loss as the result of someone else's negligence or wrongdoing. In addition to handling all types of personal injury and wrongful death claims, our law firm also provides unmatched defense counsel to those who stand accused of DUI as well as those dealing with a serious traffic-related offense. Serving clients throughout King County and the greater Seattle-Bellevue metro area, attorney Eric L. Lewis possesses more than 10 years of legal experience, and he established our law firm in order to better serve the rights and entitlements of those dealing with serious and complex legal challenges affecting their lives, their livelihoods and their futures. A former insurance defense attorney, Mr. Lewis has invaluable insight into the industry to help you create the strongest case possible aimed at securing the full amount of compensation you deserve efficiently. Devoted to delivering the highest level of representation and support possible, we promise to work closely with you to help you understand your options so that you can find peace of mind regarding your legal matter and proceed with confidence. Over the course of our history, we have recovered many substantial settlements and awards for our plaintiff injury clients while helping hundreds of individuals dealing with DUI charges, speeding tickets, license suspensions, CDL license issues and other related matters to mitigate the potential consequences to their lives. To find out more about how The Lewis Law Firm, PLLC, can best help you and your family in your time of need, you can call our law office or visit our website to schedule a free initial consultation.